Brookline, with its tree-lined streets, cozy restaurants, and vibrant shopping districts, has long been a great place to make your home. With the Coolidge Corner Theatre and Larz Anderson Auto Museum, it’s also a great place to explore for the day. Teeming with students, families, and cute dogs, it boasts an abundance of great gyms, healthy eats, and most alluringly, green spaces. Here are our picks for staying healthy. Core: Owner Tony Gentilcore prides himself on coming up with variations that make the daunting deadlift fun and manageable. Do barbells look scary? He’ll have you perform the same exercise with a smaller kettlebell. Known for his love of ’90s hip-hop, Gentilcore can accommodate up to four people in his pocket-size Brookline studio, keeping the energy high even during 6 a.m. training sessions. 250 Cypress St., Brookline, tonygentilcore.com. Coolidge Yoga: Whether you’re looking to chill out on the mat or get a sweat-inducing session in, Coolidge Yoga has a class for you. Classes range from yin yoga to vinyasa and core flow. They also offer special classes for toddlers and prenatal mothers. New members can get 30 days of yoga for $30 to see if it’ll be a good fit. Bonus points: It’s located three doors down from Trader Joe’s. 1297 Beacon St., Brookline, 617-879-0861, coolidgeyoga.com. Barre3: Since it first opened its doors in Portland, Oregon in 2008, Sadie Lincoln’s Barre3 studio has expanded to over 100 locations around the world, including two in the Boston area: one in the South End and this location right in Brookline. The Barre3 fitness method, developed with a team of doctors and physical therapists, uses a series of strengthening postures and movements in a barre class intended to shape the body. 1624 Beacon St., Brookline, 617-860-6068, barre3.com. Livite: Quick order ahead options online make this local neighborhood spot a go-to. Choose from grilled panini wraps filled with everything from vegetables to chicken salad or a caprese grilled cheese. Wash it down with a fresh smoothie, which will be both vegan and gluten-free. Try the Nutty Professor, made with peanut butter, dates, cacao nibs, and chocolate plant protein powder. If you need something a little heartier, they also offer bowls and salads brimming with fresh produce. 1644 Beacon St., Brookline, 617-396-8383, mkt.com/livite. Pure Cold Press: In addition to their lineup of cold-pressed juices (as well as booster shots), their wide-ranging menu is set to include kosher and herbivore-friendly options, including sandwiches, soups, and salads (in a Mason jar, of course). Try the Rooster, made with fresh squeezed orange juice, lemon, grapefruit, and liquid cayenne. 326 Harvard St., Brookline, purecoldpress.com. 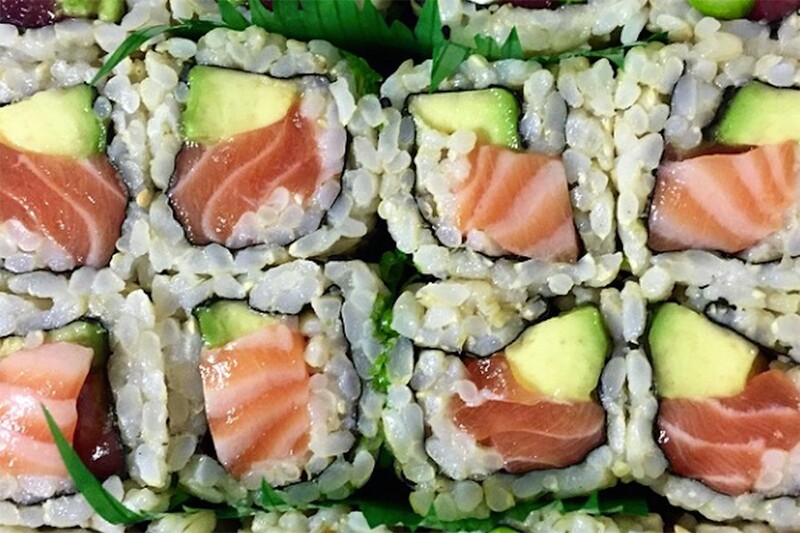 Genki Ya Sushi: Founded in Brookline in 2007, this sushi spot is dedicated to high quality and healthy sushi made with fresh, locally-sourced ingredients. Choose from rolls like the Boston flower, which is filled with salmon, shrimp, cucumber, flying-fish roe, mayo, and green vegetables, or their large range of nigiri, sashimi, and makimono. Multi-grain and brown rice sushi are available on request. Or, if you prefer non-sushi fare, munch on curry rice or Yaki Udon. 398 Harvard St., Brookline, 617-277-3100, genkiyasushi.com. 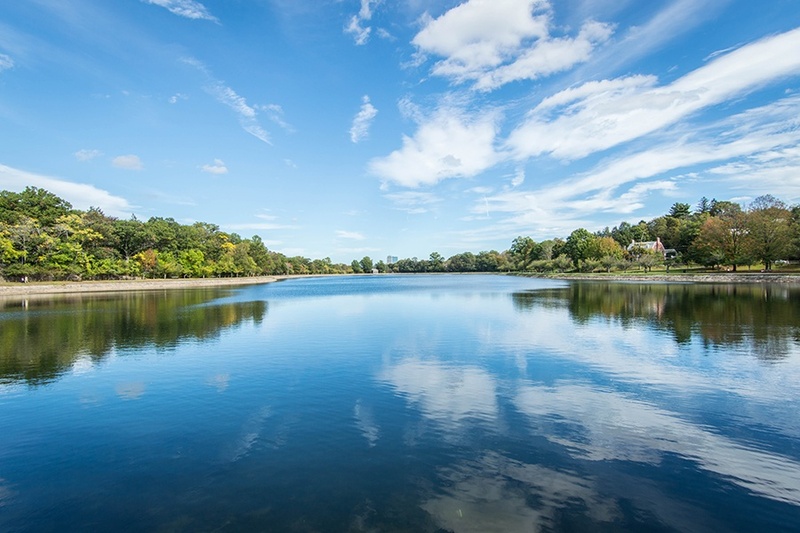 Everywhere…Larz Anderson Park, Amory Playground, Corey Hill Outlook Park, Griggs Park, Brookline Reservoir Park, Lost Pond Reservation: One of the greatest things about Brookline is the abundance of green space, making it the perfect place for dogs and families. There are also plenty of options for places to fit in a quick workout or take a stroll after dinner to get some fresh air. Larz Anderson Park has a wrap-around track perfect for accumulating some weekly miles, Amory Playground has a baseball field and multiple tennis courts, and Griggs is filled with trees and wildlife, making it feel secluded from the street. During the winter months, Corey Hill Outlook Park has many steep hills to choose from for a thrilling sled ride. Multiple locations.